Following the discussion which unfolded during the public hearing for our housing project at 3532 E Hastings, we feel compelled to contact this council directly to provide some context from practitioners working primarily in the local housing sector. Vancouver is at the turning point from a provincial, suburban city—primarily connected to its local economies, modest in scale and density—into a true world city. This transition has been going on for some time, but it is now, in the midst of an unprecedented housing crisis, that strong leadership and hard decisions are clearly needed. The primary question exposed in this public hearing—“how can we reconcile a desire to protect existing rental housing with the parallel need to construct new housing at an unprecedented scale?”—is emblematic of the tension between Vancouver-the-local and Vancouver-the-world-city. 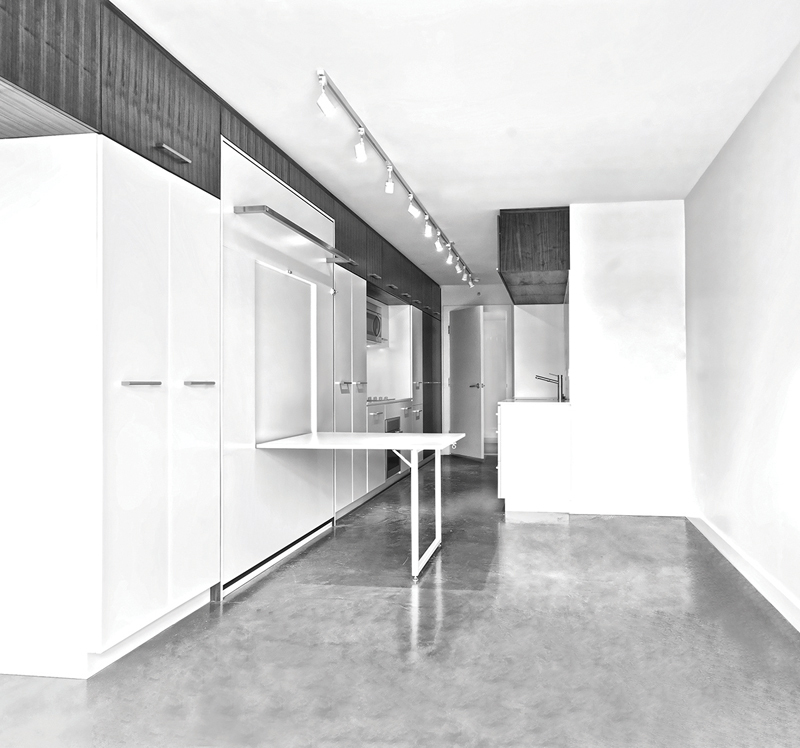 We are not policy experts; however, as specialists in multi-family rental and condominium developments in Vancouver, we have become keenly aware of city policies and bylaws which are problematic. There is certainly room for changes at a fundamental level, but a good place to start is to scrutinize the existing framework of policies, and look at some fairly simple changes which could have a meaningful impact. In this spirit, we have assembled some observations to share. Housing affordability was one of the central issues in the last election. But what is really under discussion here? At one end of the spectrum is the dire situation of the city’s most vulnerable groups, who are unable to afford even the lowest market-rate rents (which are NOT affordable!). At the other end of the spectrum, an out-of-control real estate market means that middle-income families can no longer expect to be able to buy a home, and market-rental rates are driving young families to other centres in the lower mainland or beyond. These are two very different problems which are all-too-frequently discussed in the same breath. Let’s be clear: the policy framework in place at this time (implemented by the previous Council, but set in motion over many years) has been successful at altering the format for development, in parts of the city, from condominiums to a more favourable ratio of rental-only developments. But this measurable change has disingenuously been lauded as proof that programs incentivizing the construction of rental housing will trickle down to benefit the lowest-income sectors of the population. They will not. Councillor Jean Swanson is absolutely correct when she says that the city desperately needs a source of funds to build more non-market housing. Market development alone is not the solution. There are two separate issues here. One relates to the basic needs of access to housing, while the other has more to do with the expectations and aspirations of those who have chosen to come to Vancouver to live and work. The first problem is highly complex, and may require appeals to federal and provincial government for assistance. The second problem—though serious—is comparatively straightforward and self-regulatory. We need parallel solutions to both issues. Our city leaders must begin to be precise about which of these issues is targeted by any given policy decision, as they are often at odds with one another. 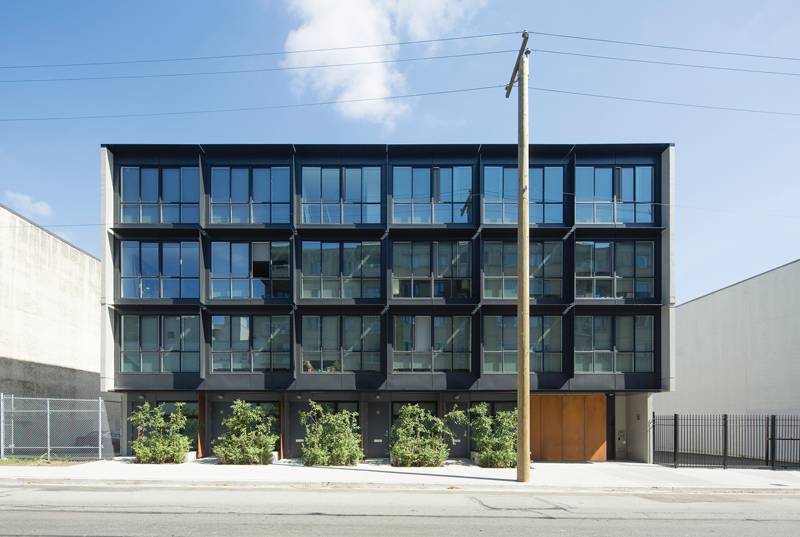 Our project at 3532 E Hastings is exemplary of the tension between these issues. A group of tenants in a dilapidated building (renting units at rates below even the social housing average for the area) stand to be displaced to make way for a new building which would quadruple the number of available units on site, but at market rates more than double the current rental rates. Mayor Kennedy Stewart’s summary—that council has a duty to uphold, both in regard to the tenants who stand to be relocated and whose future is uncertain, and to the developer who has, in good faith, worked within the constraints of existing policy to develop a viable project—was intelligent and measured. While sympathy for displaced tenants to make way for new development is well-placed (and should drive this council to develop methods to assess the needs of the displaced and more clearly lay out policy to provide assistance), the suspension of all development in such cases would be a mistake which would not serve the long-term goals of either camp. Your best chance to deliver on your promises to build new rental units in this city is to work with in-stream projects! We are frequent witnesses to a culture that views the development community with suspicion and contempt: “Why are the rents so high?” “Why is the building so big?” “Why isn’t there more parking?” Within the context of the housing crisis, the development community has seldom been cast in a positive light. But a developer will not—usually cannot—proceed with a project that is not economically viable. Smart, well-crafted policy will leverage a desired outcome (for example, more lower-income or social-housing rate units in a market development)without pushing a prospective development into the red. The Development Approvals Process (DAP)—the labyrinth of regulatory hurdles a development team must navigate to deliver a project—has become so complex that even the most experienced practitioners are frequently blindsided by policy conflicts or new requirements. The regulatory guidelines, by-laws, bulletins, and other rules have proliferated exponentially, but are not clearly consolidated. Furthermore, the DAP is plagued with uncertainty with regards to timelines, changes to policy, and cumulative policy—all of which contribute inordinately to the cost of development in Vancouver. The DAP is increasingly concerned with the financing of amenities and meeting a wide range of different targets, which adds to its complexity. New incentives for development are few and far between, while cumulative economic burdens are par for the course. Such is the toll incurred by rezoning—in terms of time, additional policy compliance, community contributions, and so on—that many developers have ceased to work in Vancouver, while others have reverted to development within the constraints of the existing zoning. It’s worth pointing out that land prices are a major driver of affordability. Land prices are impacted to an enormous degree by zoning and development bylaws. Historically, this and other cities have used Floor Space Ratio and other density controls as a political tool, enabling the city to inflate the price of land at will. A recent example of this can be seen in the changes to land-valuation following the introduction of the Grandview-Woodland Plan. Rampant speculation based on potential density increases runs counter to the goal of delivering affordable housing, but it is very effective at increasing the tax base. Sadly, conflicting constraints within the Grandview-Woodland framework means that most of the density increases available on paper are actually prohibited by the details. Circling back to 3532 E Hastings: the development as it is currently proposed is the product of coincident factors. The land was available for purchase at a reasonable rate precisely because it is outside of the scope of a detailed community plan that would trigger speculation. The site is within a commercial C-zone – which city-wide rezoning policy currently favours for density lifts. Even so, the proposal is marginally viable. 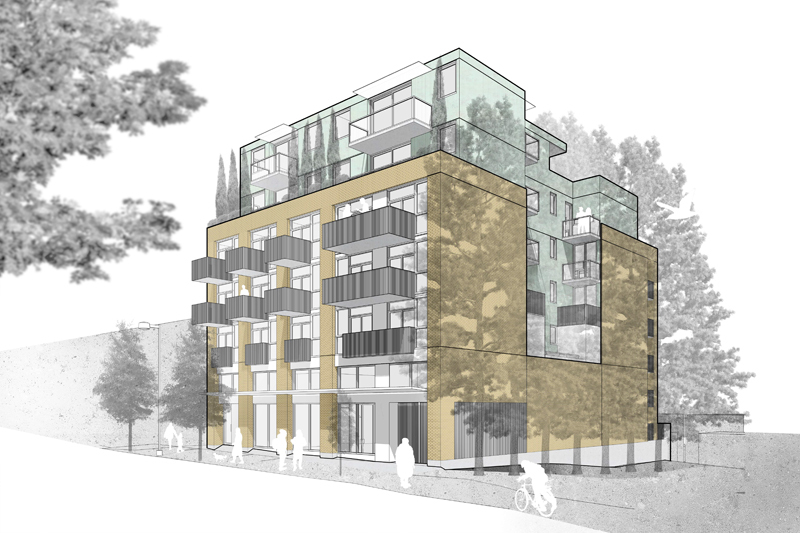 When council asks for the replacement of existing rental units at current rates, the developer has no choice but to reply that such a request would kill the project. It is notable that the developer was perfectly willing to rework the proposal within a policy incentive framework that could create a viable development, even going so far as to apply for the Moderate Income Rental Housing Pilot Program. This program offered a model which has the potential to incentivize the creation of new units at rates similar to the bottom-five-percent units in question here. Let’s stop treating developers as the enemy, and work with the development community to develop incentive programs that will serve in everyone’s interest. This brings us to the elephant in the room: density. Consider a future Vancouver: A Vancouver which has successfully negotiated the growing pains of the transition from a regional centre to a major city on the world stage. 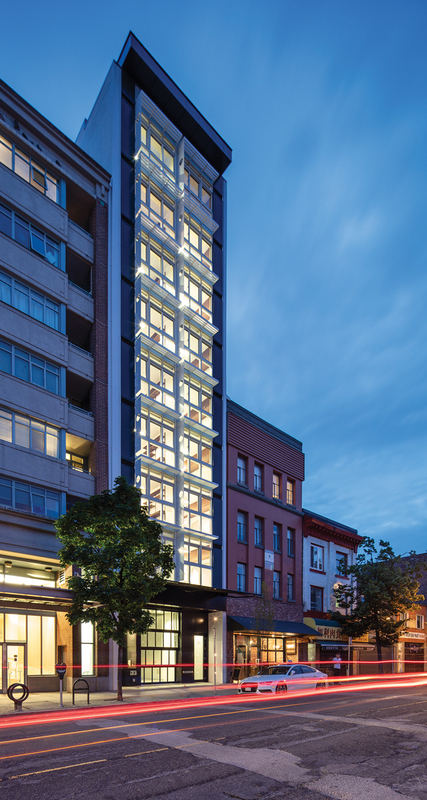 A Vancouver that nonetheless provides housing to the homeless and to lower-income families that call it home. A Vancouver that has maintained the high levels of amenity and quality of life that generated the impetus for growth in the first place. In short, a great future Vancouver. What do you see? Do you see a dense downtown surrounded by immaculate low-rise suburbs, sprinkled with restored character buildings? 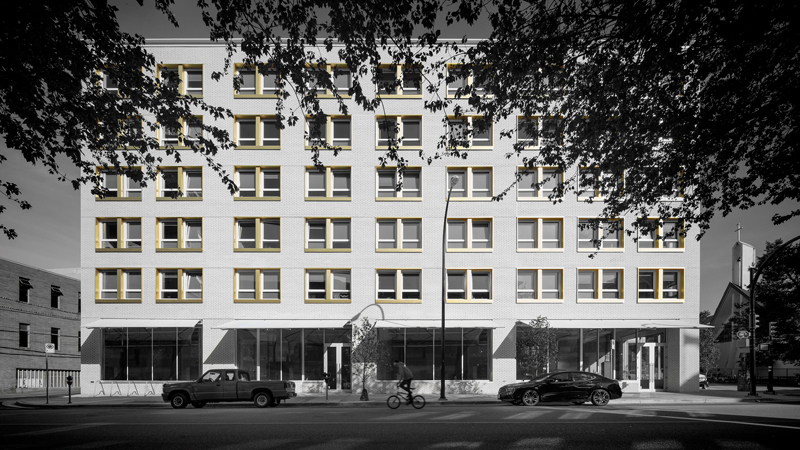 Do you see high-density social housing clustered in a small area of the Downtown East Side? Are our major transport corridors limited to six storeys? Is the area west of Granville reserved for the super-rich? Vancouver has always seen itself as laidback and suburban in character. It is within that lens that our expectations and aspirations arise: unlike European cities of a similar scale, we still expect, as median-income residents, to be able to purchase a home (this is Canada after all…!) We expect density to go somewhere else—i.e. “Not In My Back Yard!” It’s also worth pointing out that large numbers of our population, having bought into the market years ago, have become land-rich. While land use policy of the past decade has paid lip service to additional density, the residential R-zones have remained sacrosanct. As an example, consider the recent “Making Room” initiative, which expanded laneway house and multi-unit dwelling options to RT zones. This program was publicized as an initiative designed to increase density and housing options within the single-family districts of the city. In fact, the density increases are negligible: the real effect is to further boost property values in the affected zones, and to provide homeowners with an income suite to offset mortgages which routinely exceed 50% of their income. This does nothing to help the more marginalized communities in Vancouver: it simply maintains the status quo. City-wide programs (Interim Rezoning Policy, Rental 100, and predecessors) have targeted C-zones simply because they are the least controversial. Even so, the potential density lifts are modest—from 4 to 6 storeys, for example—and are often reduced when there are adjacency issues with single-family residential areas. In short, we have an enormous repository of underutilized land in this city. There are many ways to add density, but we are not going to get to that great future Vancouver by spot-rezoning C-zones alone. Ignoring the potential of the vast swathes of R-zoned land that ring downtown Vancouver will simply lead to an ever-expanding gap between the haves and the have-nots. When we imagine what that future Vancouver could be, we imagine: towers in Point Grey; a Mount Pleasant built up with the density of the West End; new hyper-dense neighbourhoods springing up in the Terminal Railyards, disused parts of the Port Lands, underutilized and outdated multi-family areas, and major transit hubs. We imagine non-market housing dispersed in all new market developments across the city—not a ghetto in the Downtown East Side. We imagine continuous six-to-ten storey blocks along every arterial across the city, with 300-foot-plus towers at major nodes. If we want to fix this problem, we need to drastically change our citizens’ expectations with regards to density. This is going to make some groups very angry, and will make your decisions all the more challenging. But we believe that dignified housing for all is more important than the private views enjoyed by those lucky enough to own a home in this city. Gair Williamson is the principal of Gair Williamson Architects. Chris Knight is a senior associate at Gair Williamson Architects.